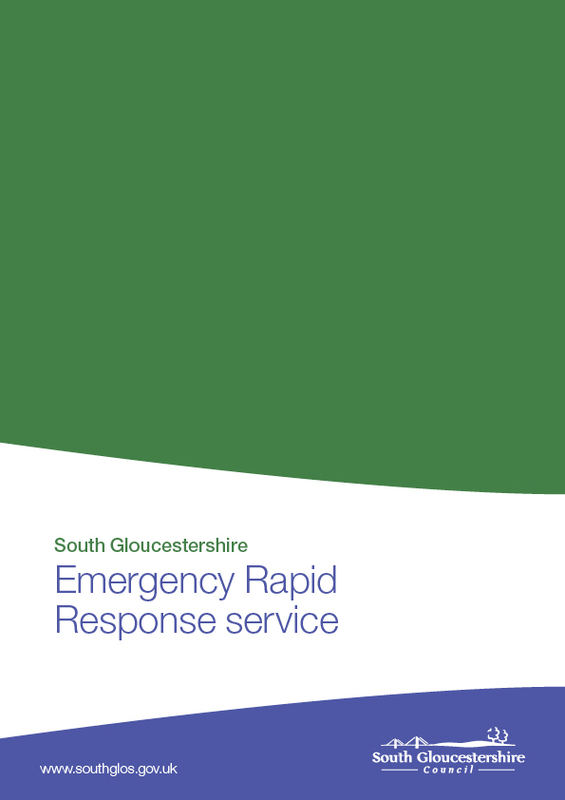 South Gloucestershire Council Home Care Service has now become an Emergency Rapid Response Service. The rapid response service is a team of care staff that provide personal care in an emergency or urgent care crisis. The service is in operation at all times, day or night, 365 days of the year. Its highly trained staff are able to rapidly respond throughout South Gloucestershire when they are informed of a resident with a personal care crisis. An adult care manager is available to visit to assist a rapid responder where the crisis requires more than a one-off visit. The service will continue to assist you while a referral is made for an adult care assessment, or review of your current support plan. After this time if you are experiencing a social care emergency that cannot wait until the next working day then please contact the Emergency Duty Team on 01454 615165.